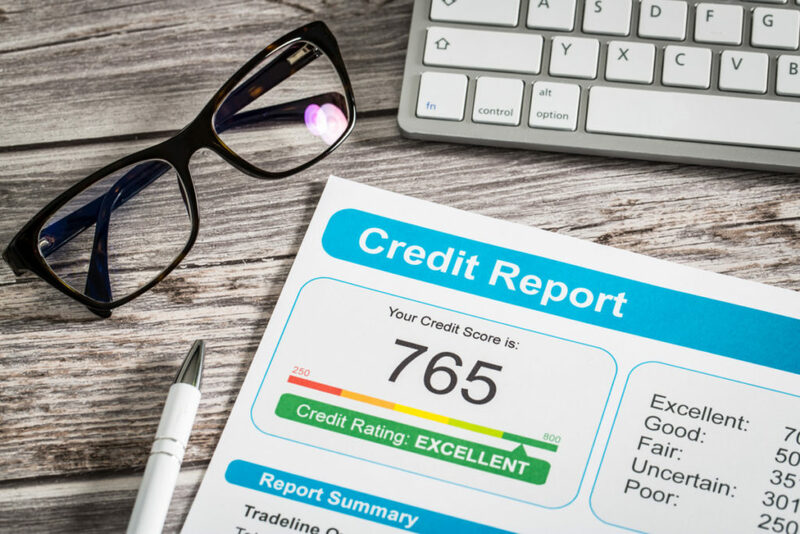 With more than one reporting agency and differing numbers, credit scores can be confusing—not to mention there’s a lot of misinformation out there. While it is important to have good credit, don’t believe everything you hear—because even a small misstep could send your credit in the wrong direction. Myth 1: I believe I have good credit. FACT: Believing and knowing are not the same thing, and you shouldn’t just assume your credit score is okay. Also, just because you had good credit five years ago doesn’t mean you do now. Make sure to get copies of your free annual credit report from all three major credit reporting agencies every year, review the report, and also periodically check your credit scores. Lenders aren’t the only ones to check your credit. Insurance companies and potential employers may check, too—and having bad credit can keep you from getting a good insurance rate or a new job. It also takes time to improve credit, which could take years, so don’t put off managing your credit responsibly. Myth 2: Closing a lot of credit cards will improve my credit score. FACT: One of the major factors of your credit score is your debt-to-credit ratio and closing too many cards at once can drastically change your ratio, which can cause your score to drop. Also, the closed account will drop off your credit reports in about 10 years. From then on, you’ll no longer benefit from the age of that account, nor its positive payment history—which are also factors in your score. If you really do feel the need to close your credit cards, pay off your balances and stash away the cards so you aren’t tempted to use them. Close one every few months and monitor your credit reports and credit scores for the impact. Remember, even if you’re not using a card, you should make sure you look at your statements to check for fraudulent activity. Myth 3: Checking my credit report or credit score will reduce my score. FACT: Many people have no idea what their credit score is because they thought checking it would hurt it. Looking at your own credit report or score isn’t like sneaking a peek at your notes during a test. You’re allowed to be in the know. It’s true that if a lender checks your credit report or credit score, it results in a “hard inquiry,” which causes a small, temporary drop in your credit score. However, when you check your own, it’s called a “soft inquiry,” and it has no effect on your score. You can get two of your credit scores for free every month from several online sources such as creditkarma.com. Myth 4: My income affects my credit score. FACT: A surprising number of people mention that their low income has damaged their credit. The amount of money you make can only affect your credit score if your income affects your ability to pay your bills. Your income itself, however, is neither listed on your credit reports nor is it a factor in your score. In other words, your income has zero impact on your credit score. Myth 5: I don’t have to worry about my credit score because my significant other has a good score. FACT: Your partner’s good credit score is not a shield you can both hide behind. And contrary to what some may think, credit scores only reflect an individual’s credit. For example, if you take out a mortgage together, both spouses’ credit will need to be checked. Furthermore, if you were to ever end your relationship, or if your partner dies, your score will become all the more important. Myth 6: With a bad credit score, I can never get a loan. FACT: This isn’t true. There are plenty of companies out there willing to give loans to people with poor credit. However, the loans will most likely have higher interest rates and require you to either put up collateral or put money down. Make sure to be aware of “predatory lending” offers, where loan amounts and repayment terms, like interest rates, are very high. Myth 7: How I manage my bank accounts, investments, and other personal finances impact my score. FACT: Anything pertaining to your bank accounts, investment accounts, or transactions made in cash have no effect on your score. That said, overdrafts can have an effect if your bank provides you with a line of credit in the event that you overdraw because that line of credit may show up on your reports. You should make sure all accounts are closed properly and all fees are paid off. Unpaid fees can also end up on your report if sent to collections. Myth 8: Disputing an account will make it come off of my report. FACT: Disputing an account with the credit bureau will certainly do one thing they will investigate your claim. However, if they find the account or the information to be accurate, the information will not be removed. Myth 9: Paying your utility bills on time builds credit. FACT: Unfortunately, paying your utility and cell phone bills on time does not affect your overall credit score. Although your cable company, phone company, and gas company check your credit before opening your account, they will only report you to a credit agency if you fail to pay. When it comes to phone and utility bills, consumers can only hurt their credit, not increase their credit scores. Myth 10: Credit scores are locked in for six months and poor credit is eliminated after seven years. FACT: Your credit score changes as soon as data on your credit report changes. This could be on a daily or weekly basis, depending on when creditors report the information to the credit bureaus. This is why staying financially responsible, and checking your scores often, is important to maintaining good credit. These myths aside, the best way to keep yourself in the know is to do your homework. Keep track of your debts and review your credit report at least yearly and compare it to your financial history. All it takes is a little initiative and less reliance on hype to maintain a good credit score and good financial health.